Everything Elsea: Happy Friday the 13th! Just a refresher, we got engaged on Friday the 13th and Monkey was born on Friday the 13th. It's a good day for us. Monkey found an old wallet of mine this morning. We're talking 10+ years. Like any good wallet of mine, it had some old receipts and ticket stubs. I'll save the best for last so you have to keep reading. First a ticket stub to a Cardinals/Cubs game at Wrigley the year the White Sox won the World Series. I'd tell you there was nothing special about this game, but I'm pretty sure C would say, "Every Cardinals game, especially against the Cubs, is special." 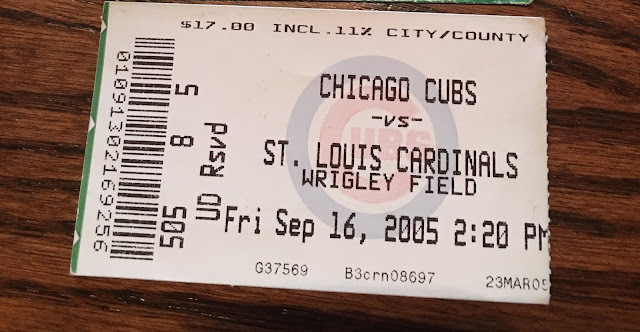 A ticket stub from the Cubs/Cardinals game the day before. Turns out this was our first date (just realized this today). 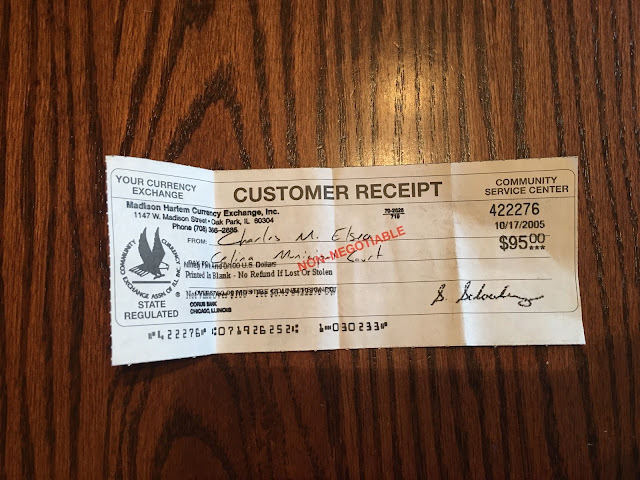 I remember just like it was yesterday, sitting in a Wendy's (we classy) in Alexandria, Virginia after Dad opened the House of Representatives with prayer, and getting a call from C asking if I'd like to head to StL a day early because he had two tickets to the Cubs/Cardinals game.